In this multi-part series, we will explore many areas of JOAs, from basic to advanced. In this first article, we will take a look at the basic purpose and function of a JOA. Typically, the fee oil and gas estate is owned in several undivided fractional shares. These owners then execute oil and gas leases to multiple lessees, who then own the associated leasehold estate in undivided fractional shares. These lessees then often assign undivided fractional shares of those oil and gas leases to third parties. The result is that any given oil and gas property is typically concurrently owned by numerous cotenants. The parties may hold leases that cover various undivided interests in a single tract of land, or they may own leasehold interests in nearby tracts of land and wish to pool their interests together in order to drill a well. What rights and obligations do these cotenants owe one another in their exploration and development activities? 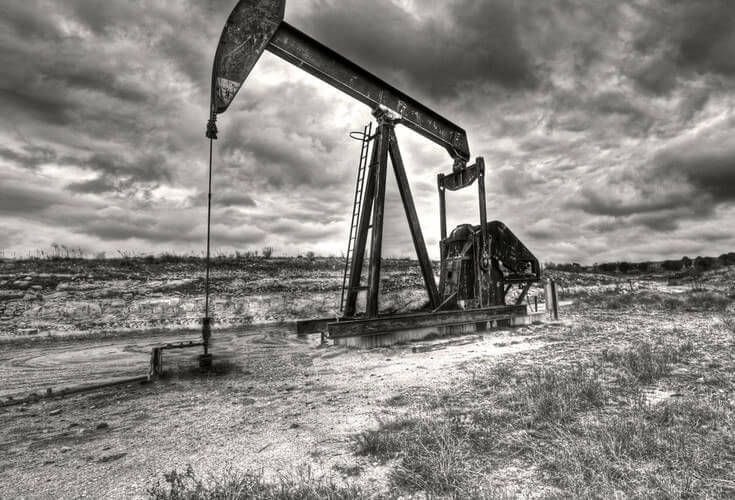 In Texas, any of the cotenants may drill for and produce oil and gas without the consent of the other cotenants. Patrick H. Martin and Bruce M. Kramer, Williams & Meyers, Oil and Gas Law Abridged Fifth Edition, §503 (LexisNexis Matthew Bender 2013). However, the entire dry-hole risk is borne by this operating cotenant, who must also account to the other cotenants for their share of production, less their proportionate share of the cost of drilling for, producing and operating the property. 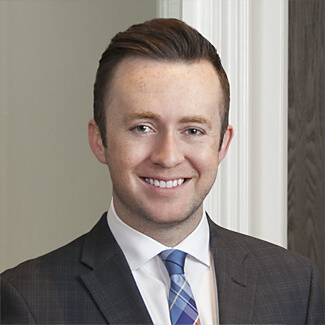 Common law principles are, unfortunately, not sufficiently clear as to which costs the operating cotenant is entitled to recover from the non-operating cotenants. Allen Cummings, The Joint Operating Agreement – The Basics, The State Bar of Texas Oil, Gas and Energy Resources 101, Chapter 4, October, 2012, Houston, Texas One commentator fittingly dubbed this the “Cotenant Problem.” Id. A joint operating agreement can solve this “cotenant problem,” and provide a contractual basis for parties to understand their rights and obligations. Id. However, this is not to say that leasehold cotenants always have competing interests. Often times, oil and gas lessees will desire to include other parties in the exploration and development projects in order to share risks and raise capital. John Orban, Money in the Ground: Insider’s Guide to Oil and Gas Deals (4.4th ed. Meridian Press 2000). For example, many of the ongoing methods of raising money for the exploration and development of oil and gas properties involves the purchase and sale of undivided interests in the leasehold estate to investors. Id. Additionally, one of the most common methods of spreading the costs and risks of exploration, drilling a development is by selling or “farming out” undivided fractional leasehold interests in the oil and gas properties. Patrick H. Martin and Bruce M. Kramer, Williams & Meyers, Oil and Gas Law Abridged Fifth Edition, §503.2 (LexisNexis Matthew Bender 2013). In each of these scenarios, the parties involved will likely share common fundamental goals, and their respective interests are more or less aligned. Michael E. Curry, The Operating Agreement – After the Honeymoon, State Bar of Texas, 31st Ann. Oil, Gas & Min. L. Inst. (Apr. 2005). However, a joint operating agreement will provide these parties with a structure to handle future disputes, unanticipated differences, and points of contention that frequently develop. Id. For the reasons described above, a JOA is typically entered into when more than one party holds title to the oil and gas leasehold estate in a prescribed geographical area. The standard Form 610 establishes a contractual basis for these multiple leasehold cotenants to operate the properties, jointly share costs and liabilities, and own equipment and production in proportion to their respective percentage of ownership and burdens. Hill v. Heritage Res., Inc., 964 S.W.2d 89, 109 (Tex.App.-El Paso 1997, pet. denied); Patrick H. Martin and Bruce M. Kramer, Williams & Meyers, Oil and Gas Law Abridged Fifth Edition, §503 (LexisNexis Matthew Bender 2013). The JOA describes the terms and conditions under which the operator is to conduct operations, such as drilling of the initial well, Form 610-1989, Article V.A. a voting mechanism for specifying future subsequent operations, Form 610-1989, Article VI.A. and how the costs for all such operations are to be paid. Form 610-1989, Article VII. The Form 610 covers a multitude of other matters, Williams & Meyers, supra note 4, at §503.2 including how the interests of the parties are to be calculated, Form 610-1989, Article III. how the parties will handle title examination and title issues, Form 610-1989, Article IV. and several issues related to future acquisitions and/or dispositions within the contract area. Form 610-1989, Article VIII. Under a JOA, the leasehold cotenants appoint one party as “operator,” who is then has full control of conducting and directing all operations in the contract area, under the confines of the JOA. Form 610-1989, Article V. The remaining cotenants are then considered “non-operators,” who only retain indirect control of the operations in the contract area, such as voting on subsequent operations, electing whether to consent to subsequent operations, and certain inspection rights. See, e.g., Form 610-1989, Article VI.B. Come Big or Stay Home, LLC v. EOG Resources, Inc.
Seagull Energy E & P, Inc. v. Eland Energy, Inc.
4. ↑ Patrick H. Martin and Bruce M. Kramer, Williams & Meyers, Oil and Gas Law Abridged Fifth Edition, §503 (LexisNexis Matthew Bender 2013). 6, 7, 9, 12. ↑ Id. 8. ↑ John Orban, Money in the Ground: Insider’s Guide to Oil and Gas Deals (4.4th ed. Meridian Press 2000). 10. ↑ Patrick H. Martin and Bruce M. Kramer, Williams & Meyers, Oil and Gas Law Abridged Fifth Edition, §503.2 (LexisNexis Matthew Bender 2013). 11. ↑ Michael E. Curry, The Operating Agreement – After the Honeymoon, State Bar of Texas, 31st Ann. Oil, Gas & Min. L. Inst. (Apr. 2005). 13. ↑ Hill v. Heritage Res., Inc., 964 S.W.2d 89, 109 (Tex.App.-El Paso 1997, pet. denied); Patrick H. Martin and Bruce M. Kramer, Williams & Meyers, Oil and Gas Law Abridged Fifth Edition, §503 (LexisNexis Matthew Bender 2013). 14. ↑ Form 610-1989, Article V.A. 15. ↑ Form 610-1989, Article VI.A. 16. ↑ Form 610-1989, Article VII. 18. ↑ Form 610-1989, Article III. 19. ↑ Form 610-1989, Article IV. 20. ↑ Form 610-1989, Article VIII. 21. ↑ Form 610-1989, Article V.
22. ↑ See, e.g., Form 610-1989, Article VI.B. Thanks for the article. I look forward to reading the rest of the series on JOAs. Thanks Michael! Hope all is well. We need to get Chris and meet up again some time. Timely analysis , I loved the specifics ! Does someone know where my business can access a template NY DTF ST-140 example to use ?